Music Director Emerita of Tafelmusik (having served as Music Director from 1981-2014), violinist Jeanne Lamon has been praised by critics in Europe and North America for her strong musical leadership. In addition to performing with and directing Tafelmusik, Jeanne regularly guest directs symphony orchestras in North America and abroad. Upcoming and recent engagements include Les Violons du Roy, Detroit Symphony, l’Orchestre Métropolitain (Montreal), Orchestra London, Victoria Symphony, and Symphony Nova Scotia. 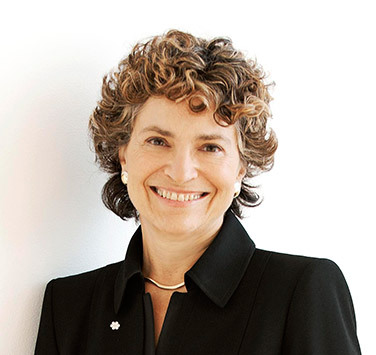 She has won numerous awards for her work with Tafelmusik. Jeanne is a Member of the Order of Canada and the Order of Ontario. She holds three honorary Doctorates, one from York University, one from Mount Saint Vincent University in Halifax, and one from the University of Toronto. She is passionate about teaching young professionals, which she does at the University of Toronto and through Tafelmusik’s Artists’ Training Programmes. Jeanne has recently been named Artistic Director of Concerts in Care, an organization dedicated to bringing live music to people in long-term care. She stepped down as full-time Music Director of Tafelmusik in 2014 to devote more time to teaching, guest directing and pursuing various hobbies.